Bernadeta Gottel has worked as a Waste Minimisation Advisor for ‘Sort It!’ (a Partnership between SITA UK and South Gloucestershire Council) and as an Environmental Auditor and Compliance Co-ordinator for SITA UK. She has just finished an MSc in Environmental Consultancy at UWE Bristol, which included a professional placement at Eunomia Research & Consulting. Her thesis compares the carbon footprint of waste management in two local authorities: Jaworzno in Poland and South Gloucestershire in England. Bernadeta Gottel has a degree in Engineering in Environmental Management and MSc in Environmental Management specializing in Waste Management from University of Science and Technology in Krakow. 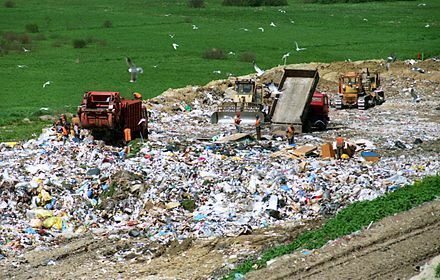 Tagged energy-from-waste, EU, garbage, Landfill, Landfill Tax, Legislation, Municipal Wastes, Municipalities, Packaging Waste, Poland, Recycling, waste, Waste Disposal in Poland, Waste Management, Waste Management in Poland, Waste Management Plan. Bookmark the permalink. I am a recycling manager from the U.K.based in Elblag Poland what can I do to help? Great article. Thanks for sharing. Indeed waste handling and management is a very important factor . Thanks for your kind words. Efficient waste collection, transportation and processing are key to success for any waste management project.